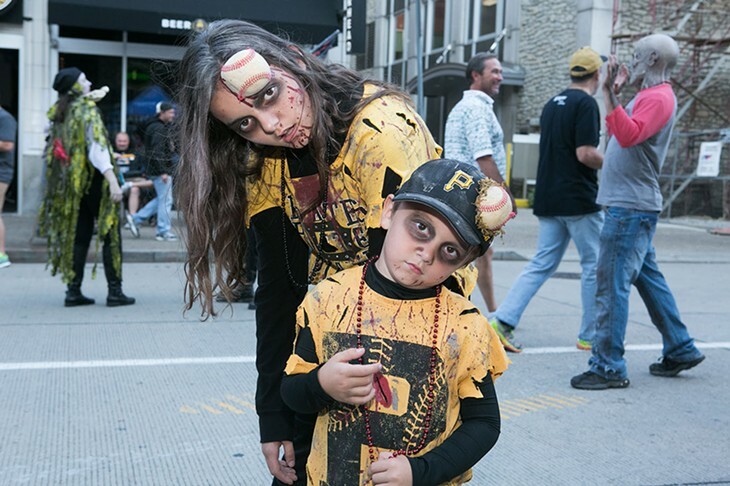 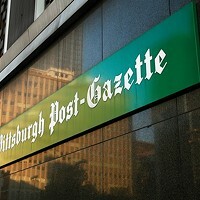 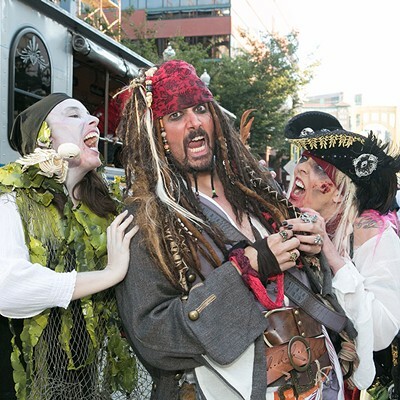 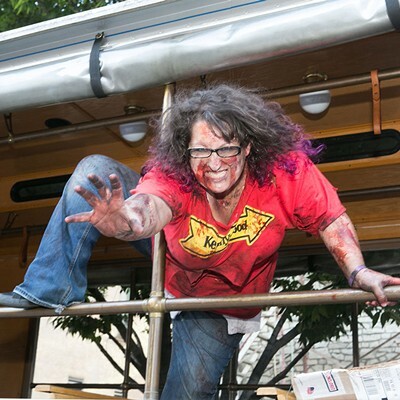 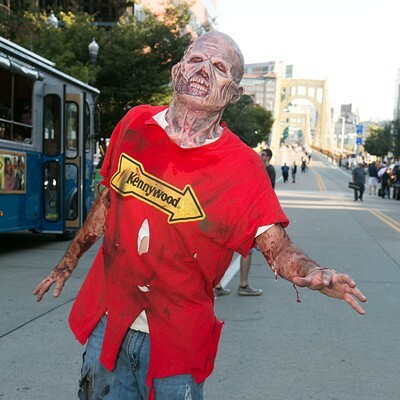 Pittsburgh's long-lasting love affair with the walking dead continued this week as the undead convened on Federal Street for a costume contest during the Pittsburgh Pirates' Zombie Night at PNC Park. 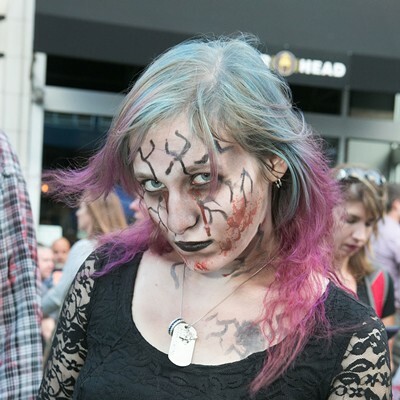 Contestants of all ages donned face paint and went before judges with their best zombie impressions. 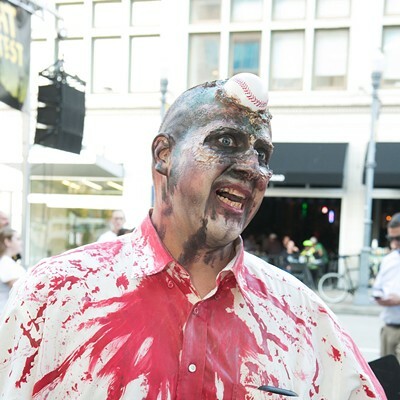 Mike Wenzel won first place with a blood-splattered shirt and a baseball embedded into his forehead. 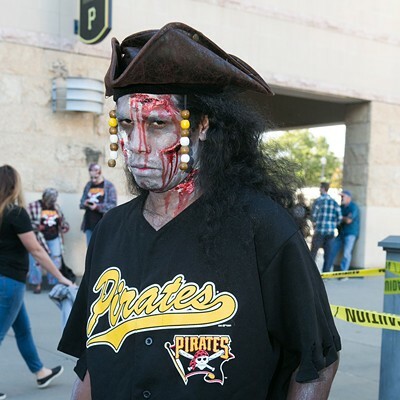 Coming in second was Lonnie Phillips, an undead pirate wearing a bird on her shoulder. 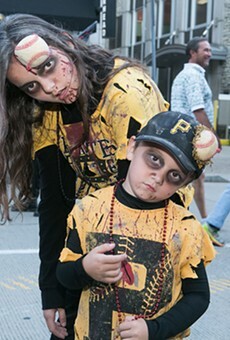 Tied for third were Madison and Sawyer Ketchum, two adorable zombie kids also struck by baseballs. 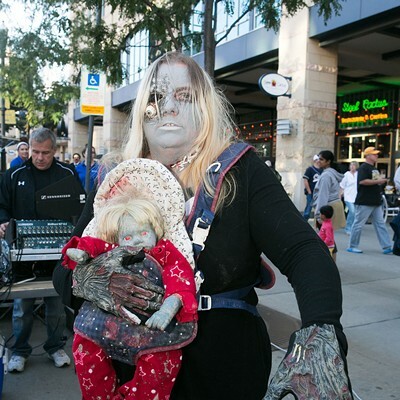 And coming in fifth was Deanne Myres, a zombie mother holding an undead baby. 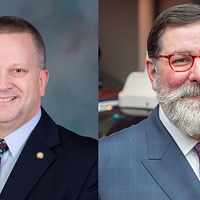 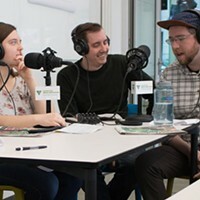 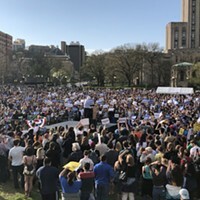 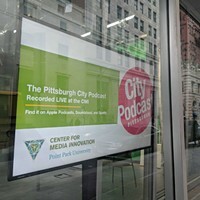 Check out our photo slideshow from the event below. 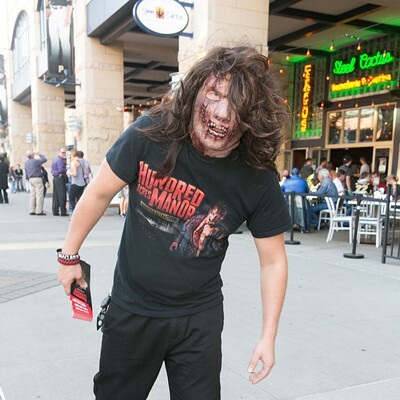 If you dare.